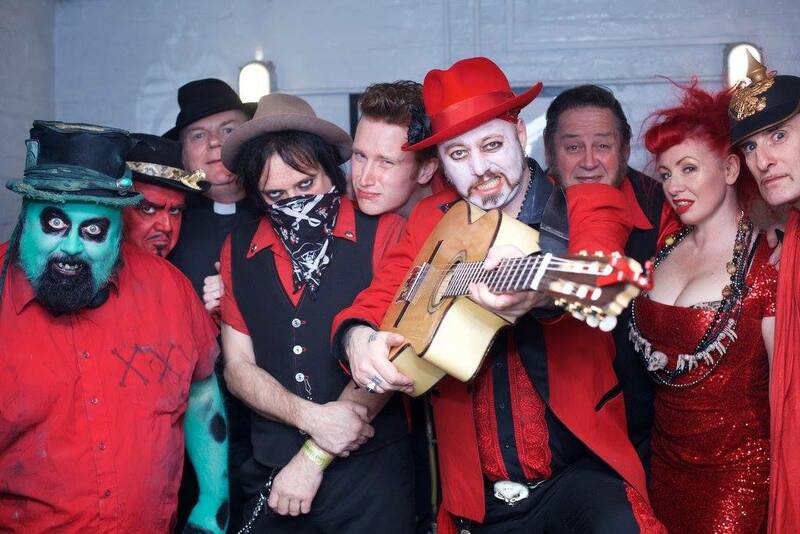 Discussions Magazine Music Blog: THE URBAN VOODOO MACHINE is here... and there's nothing you can do about it! THE URBAN VOODOO MACHINE is here... and there's nothing you can do about it! If you ever want to know what Tom Waits sounds like waking up - with a hangover - in a ditch just outside New Orleans wearing a clown's wig and clutching a bottle of bourbon wrapped in a McDonalds bag, then you've come to the right place. 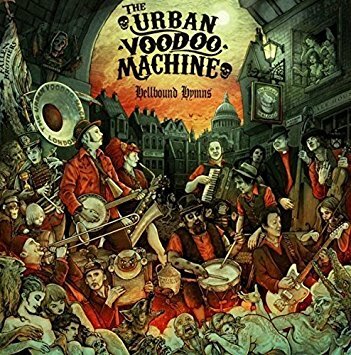 The Urban Voodoo Machine certainly sounds like that, only a bit more intense. And while not a new band, The Urban Voodoo Machine is new to you and that is all that matters at this exact moment in time... so deal with it. Well, they aren't coming to America at the moment. But that doesn't mean that you shouldn't check your closets and look under your beds before going to bed. I mean, they COULD be here and we just don't know it yet. Instead of me telling you their sorry tale, I figured I'd pull their bio off of their website and force-feed that to you. I've even added a few videos just so you can check them out. You’re welcome. GRAB THEIR LATEST RELEASE NOW!